“For more than a few years, my husband Brandon and I had been stuck in a rut,” said Aimee Bloom. “Although we regularly attended our church at the time and served in various ministries, each of us struggled with sin in isolation from each other and from community. Our sin struggles had a significant impact on both our marriage and our ability to shepherd the hearts of our two children, Griffin (4) and Lucy (2). We didn’t realize what we were missing was an abiding relationship with Christ and authentic, biblical community. “I have always known the Lord. I grew up in a Christian home and went to church and a private Christian school. But I only had a basic concept of God’s love and some ‘head knowledge’ of the Bible. I did not understand God’s grace. I knew my relationship with the Lord wasn’t based on works, but I didn’t really live like I believed that. Both Brandon and I abused the word grace, using it as a license to do what we wanted to do, whether it was Brandon drinking too much or me losing my temper with our kids. I relied on my own strength, never fully understanding the depth of Christ’s sacrifice on the cross. “When the weight of sin and isolation became more than we could bear, Brandon began participating in re:generation, a biblical recovery ministry at Watermark in early 2012. I joined him a few months later. For the first time, we experienced an authentic community of Christ-followers who openly discussed their struggles and freely admitted their complete reliance on Christ for forgiveness, healing, restoration and change. We experienced a community that not only loved us exactly where we were in life, but also loved us too much to let us stay there. This is exactly what had been missing for far too long. God began to transform each of us, which in turn has transformed our marriage and our job as parents. “God’s work in our children’s hearts became evident after we visited Watermark one Sunday. As we drove home, we asked our son, Griffin, what he learned. We anticipated one of his typical responses: ‘God’ or ‘we ate goldfish.’ But what he said brought me to tears. “Griff showed us the art he made and began to explain the story of Adam and Eve’s sin and their attempt to hide from God. Not only did Griffin share the story, he also explained the concept of sin (in his own four-year-old way) and gave an example that applied to his life. I was floored by his enthusiasm. 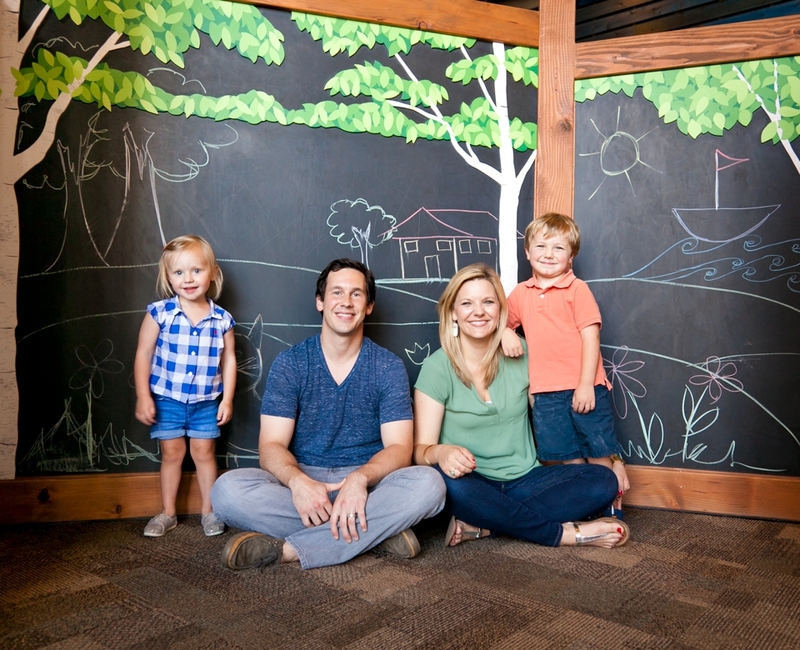 We’ve been at Watermark ever since and are amazed by what Griffin and Lucy learn each week in the Kids Ministry. “Since then, I feel like our entire family changed. God changed my heart, and he did the same in Brandon. My husband began to understand Christ’s love in a way he hadn’t before, and that changed the tone in our marriage and in our home. I loved being married our first nine years, but actually, we had been living very selfishly. In our tenth year of marriage, God totally changed the picture in our lives. I had no idea what we were missing. The post CHANGING THE PICTURE appeared first on Watermark Community Church Blog.